"Painted Eyes" Reviewed by RadioIndy.com! 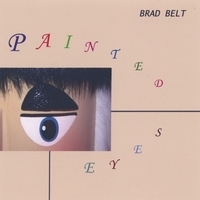 "Painted Eyes" by Brad Belt is an enjoyable adult rock album that speaks of faith, life experiences and companionship. Brad has a very nice, soothing voice with a great "storyteller" quality to it. You'll also notice a touch of country in his delivery. This is a romantic album with simple, but complimentary arrangements. Everything comes together very nicely. The production quality is very good and the lyrics are right up front and very clear. You certainly hang on every word while listening. The songwriting provides memorable choruses. Highlights include "Painted Eyes" with a rebellious electric guitar riff and a nice boy meets girl story. "Some Days (Are Meant For Flyin’ " features a quirky country/blues arrangement and has a ton of personality. "Only Me" has a nice piano progression and a nice vocal performance. If you enjoy adult rock with relevant, real-world lyrics and memorable songwriting, you’ll enjoy this excellent CD.